Dental health is extremely important to growth, as well as overall health. The proper development of jawbones and muscles affects speech patterns, as well as supporting an attractive appearance, and these are just some of the many benefits of having access to a proper dental plan. Staying on top of your dental health by informing your doctor about noticeable issues is, unfortunately, easier said than done. For a third of Americans, having access to the most basic dental care is hugely problematic, and it largely boils down to cost. Steven C. Bilt, CEO of Smile Brands Inc., bit into this problem and cofounded Smile Brands in 1998 and OneSmile in 2015. He eventually combined the two businesses and now oversees 5,500 employees and affiliated providers at approximately 400 U.S. locations. Bilt is also a founding member and former president of the Association of Dental Support Organizations. Incorporating recognition and a mindset of giving is also integral to the Smile Brands culture. The cofounders of Smile Brands reacquired the company in August 2016 after prior ownership drove the business to the brink of bankruptcy. Despite this rocky start, Smile Brands won Stevie Awards in The American Business Awards® and the Stevie Awards for Great Employers. Bilt also reached a 97 percent approval rating, based on the past year’s Glassdoor reviews from Smile Brands employees and affiliated dental providers. Those numbers are sure to keep Smile Brands grinning from ear to ear! As Smile Brands Inc. grows in to one of the largest providers of support services to dental groups in the United States, dentists can spend more time caring for their patients and less time on the administrative, marketing, and financial aspects of operating a dental practice. This is an important step in the dental industry because new research continues to show links between chronic oral infections and heart and lung diseases, stroke, low birth weight, and premature births. 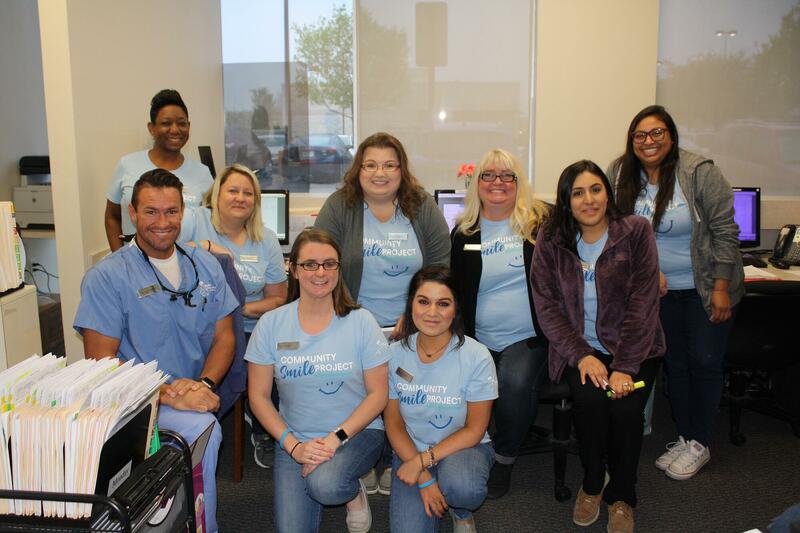 Smile Brands aims to further build and to bundle comprehensive general dentistry with specialty care and to streamline experiences for both dental care practitioners and patients. Even with all these moving parts, everything still comes back to one foundational and simple concept: smiles for everyone. The organizers of the Stevie Awards announced the winners in the 2018 German Stevie® Awards. 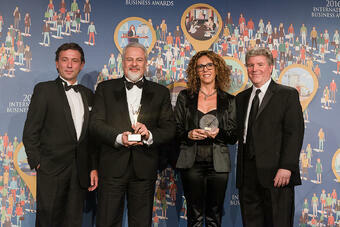 The big winner overall with a total of ten Gold Stevies is Crowdconsultants 360 GmbH from Berlin. With ten gold, one silver, and one bronze Stevie Award, Crowdconsultants 360 GmbH is the most awarded organization of the German Stevie Awards this year. The Berlin-based company can look forward to Gold Stevie Awards for most innovative company, startup of the year, and more. 50 executives from all over Germany were named as a part of the expert judging panel who determined the Stevie Award winners. They have reviewed over 400 nominations, selected the most innovative solutions, organizations, and individuals, and finally crowned the winners of the Gold, Silver, and Bronze Stevie Awards. Agenda Informationssysteme GmbH & Co. KG from Rosenheim and the Voith GmbH & Co. KGaA from Heidenheim each won five Gold Stevie Awards. 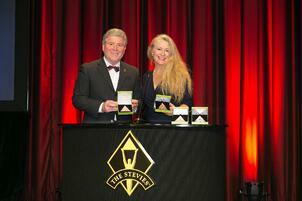 Michael Gallagher, founder and president of the Stevie Awards, congratulates all winners on their achievements. "We are looking forward to a great award ceremony in Berlin", he says, and is proud that it takes place at the Hotel Adlon. On 27 April 2018, the winners will receive their trophies at a festive award ceremony. All winners of the Golden, Silver and Bronze Stevie Awards are listed on the homepage of the German Stevie Awards. Anyone wishing to be one of the winners of the German Stevie Awards next year can request an entry kit on the awards website in order to be informed in good time about deadlines and participation documents: www.stevieawards.com/Germany. Vision, discipline, and going against the grain are three principles Bonnie Worthington embraced as she set out to establish RV Rental Connection, an online site allowing RV owners to rent their vehicles to prospective vacationers. The online enterprise based in Chico, California in the United States is a team of three, led by Worthington as founder and CEO, and operates in 30 U.S. states and Canada. The site offers multiple styles of recreational vehicles, from pop-ups, to trailers, and multiple-bedroom motorhomes. RV owners are able to begin with a free trial to test the success of the rental exchange program before making the decision to sign up for a monthly, no-contract subscription. RV Rental Connection even makes insurance coverage recommendations for renters and rentees with an emphasis on excellent customer service. Worthington’s creative brand idea culminated with the tagline, “Rent the RV. Own the Experience.” The innovative business model has earned her recognition with The Stevie® Awards for Women in Business in four categories: Startup of the Year and Company of the Year, with 10 employees or less, Female Entrepreneur of the Year, and Maverick of the Year. Not only was Worthington surprised with the award, but she was also in awe when she realized she would stand next to successful business women from around the world (from companies such as Microsoft and Verizon) at the November 2017 Stevie Awards in New York City. This budding CEO champions the discipline to integrate strategy and to implement it towards achieving goals. Worthington told her local publication ChicoER that she was not afraid to operate a little differently from the rest of the vacation business and online marketplace, positioning RV Rental Connection as a “disruptor to disrupters.” This is what earned her the Maverick of the Year award. In her lifetime, Worthington has won awards in academics, writing, golf, and competitive horseback riding. She is committed to staying fit and “keeping her mind sharp” with reading, math exercises, and other mind games. She remains dedicated to success, believing if she is driven to achieve, she will. “Complacency” is not a word in Renee Tocco’s vocabulary. Whether it is using her skills to encourage people to live healthier or supporting any number of philanthropic causes ‒ from helping low-income children to protecting rainforests ‒ the energetic Aussie is keen to make a difference wherever she can. It is no surprise when it comes to her main career as a business executive, Tocco does not settle for the status quo. 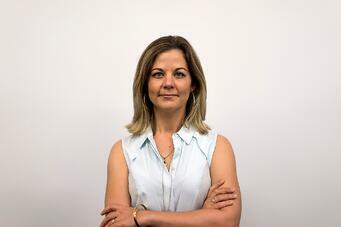 A former sales and business accounts manager for Telstra, Australia’s largest telecom company, she started her own commercial finance brokerage, Loanezi, in 2014. In the process, she is bringing a fresh approach to an industry that is not necessarily known for innovation. In three years, her company has become one of the fastest-growing players in the country’s asset finance industry. “Loanezi is my greatest achievement so far,” the entrepreneur says, proud of the success her venture has earned. For as long as she can remember, dreaming big has been one of her character traits. 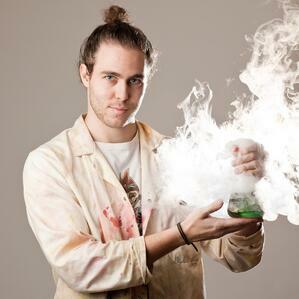 “I always believed that I will one day build up an empire or disrupt an industry with a revolutionary invention,” concedes Tocco, who lives on The Gold Coast, a metropolitan area on Australia’s eastern shore. Loanezi is the marriage of that enterprising spirit with the industry knowledge she acquired at Telstra. It was there Tocco realized the impact information and communication technology could have on businesses ‒ particularly smaller ones. For clients, new equipment was often the difference between growing or falling behind the competition. Tocco vividly remembers her first client, a woman who was starting her own real estate practice. “Without a new phone system and printer, this new little real estate business literally would not have been able to successfully function,” Tocco told her hometown newspaper, The Gold Coast Bulletin. Three years later, the company’s trajectory has been nothing short of remarkable. In early 2016, Loanezi was already generating enough revenue to pay back all borrowed capital, becoming 100% self-funded. During the 2016-2017 financial year, Loanezi generated 450 commercial loans, outpacing its own ambitious sales goals. What makes Loanezi different from the competition? Tocco says it is, in part, the novel use of technology, something that is transforming what had long been a “staid” finance broking sector. The company also offers a large panel of vendors, enabling it to serve customers with a wide range of needs, including new businesses that sometimes have trouble getting financial support. In August, Tocco and her team found out they won the Silver Stevie® Award in the “Startup of the Year – Business Services Industries” category of The 14th Annual International Business Awards. For Tocco, one of the biggest benefits to the company’s success is the opportunity to give back. The business has partnered with the business giving initiative known as Buy1Give1 (B1G1), providing donations for every corporate loan it settles. Among the results of its B1G1 gifts so far: 175 days of shelter and 225 days of education for children in need, as well as the protection of 45 square meters of rainforest and 2,000 meals for orphaned children. In that same spirit, she is hoping to offer traineeships to help students achieve their business goals and tackle important challenges around the world. RAK SME was established in 2007 by Amiri Decree in Ras Al Khaimah, United Arab Emirates to support young entrepreneurs with start-up projects. They provide small and medium enterprises with everything from quick and easy steps to simplify their procedures, to market entry resources. Their efforts have enabled the youth in their communities to establish and develop projects to enhance sustainable development in the Emirates. This work led them to win the Bronze Stevie Award for Company of the Year in the Small, Nonprofit or Government Organizations category of The 2017 International Business Awards. In order to provide an attractive environment for Emirati youth entrepreneurs, RAK SME supports a mission to strengthen the national economy through the Saud Bin Saqr Foundation for the Development of Youth Projects. RAK SME is also an initiative of Ras Al Khaimah Chamber of Commerce and Industry by incorporating a wide range of services to the members of their corporation. Rashed Sawaqed is the Business Development Consultant for RAK SME, specifically focusing on Feasibility Studies and Business Development Consultancy which aims to support and develop SME's in Ras Al Khaimah. RAK SME services provided for its’ members include exemptions from the payment of commercial license fees, economic and legal consultancy, business incubators and business admin services, training and development programs, workshops, discounts on various services (including participation in local and external exhibitions) and free industrial and commercial plots for development. Saud Bin Saqr Foundation for the Development of Youth Projects is one of the initiatives of the Ras Al Khaimah Chamber of Commerce and Industry. The Foundation aims at developing the business sector and contributing to the government's policy in the development of youth projects in the Emirate of Ras Al Khaimah, where small and medium enterprises play a major role in the development of the national economy. Sawaqed comments on how winning a Stevie® has made a positive impact on achieving their goals. RAK SME is now organizing a practical training course entitled "Making Financial Decisions for Your Business Project" for entrepreneurs. Those interested in the business community within the framework of the plan can develop and qualify small and medium enterprises under the umbrella of the Foundation. Winners were announced today in the 2017 People’s Choice Stevie® Awards for Favorite Companies, a feature of The International Business Awards, the world’s only international, all-encompassing business awards program which is now in its 14th year. The worldwide public vote was conducted this summer, with the highest number of votes deciding the winners in a variety of industries. More than 14,000 votes were cast. All Stevie Award winners in the Company of the Year categories of this year’s International Business Awards were eligible to be included in voting for the People’s Choice Stevie Awards. 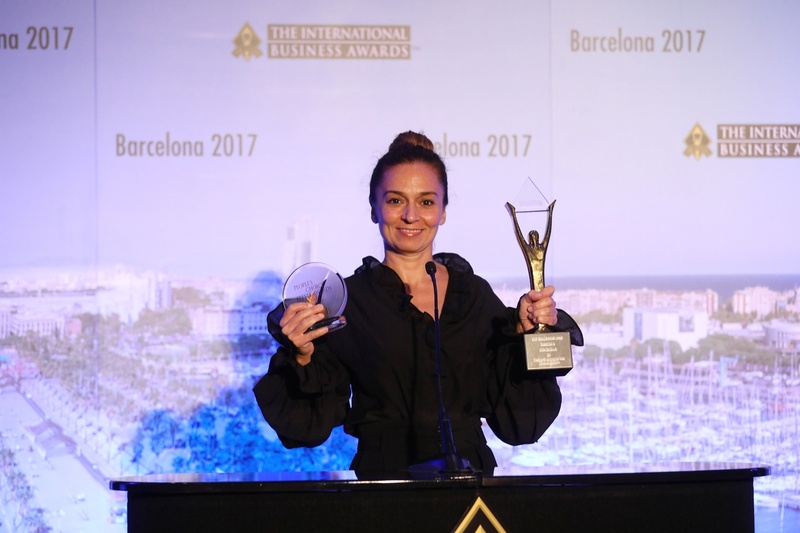 The crystal People’s Choice Stevie Awards will be presented to winners at The International Business Awards banquet on Saturday, 21 October at the W Hotel in Barcelona, Spain. Tickets for the event are now on sale. The winners of peer-adjudicated Gold, Silver and Bronze Stevie Awards will be presented with their awards along with the People’s Choice Stevie Awards. Stevie winners were selected from more than 3,900 nominations received from organizations and individuals in more than 60 nations. Today’s enterprises are more spread out than ever, often consisting of multiple office buildings spread across the United States—and even the globe. The challenge: finding a way to make those facilities and the people who work there more efficient. That’s exactly what iOFFICE Corporation, a fast-growing software-as-a-service provider, is doing for some 1,400 corporate clients. The iOFFICE platform allows facility managers and executives to, for example, visualize floor plans and analyze space usage across all their properties. They can use available data to plan for future usage of those spaces in the most cost-effective way possible. With a separate module, users can pull data from a building’s HVAC, lighting and refrigeration systems to monitor and curb energy use at the site. But it’s not just the building that iOFFICE is trying to make more efficient. The firm also offers applications designed to streamline the work that employees perform. One of those offerings is a project management tool that enables improved collaboration throughout the enterprise. The Houston-based firm has been able to expand its offerings through a series of partnerships with other specialized SaaS (Software as a Service) providers. This “Marketplace,” as iOFFICE refers to this network, includes technology companies that offer expertise in areas like space utilization, energy management and occupancy planning. Corporations in a variety of industries are latching onto the idea. The company’s clients now include the likes of Adobe, Sephora and Under Armour—all trying to build efficiencies into their work environment. “iOFFICE works hard to ensure that its clients have the technology to support their employees,” the company’s outside spokeswoman, Bethany Morris, says. Currently, about 2.4 million users around the globe rely on iOFFICE software to gain visibility into their operations. The business had much humbler roots when Don Traweek and Elizabeth Dukes, both former executives with Pitney Bowes Management Services, founded the business in 2002. But over the past several years, the company has gone through a period of remarkable growth, emerging as one of the leaders in the integrated workplace management system, or IWMS, sector. What was once a staff of just two employees has exploded to 49 and counting. Traweek continues to serve as the company’s president and CEO while Dukes holds the title of executive vice president, helping to drive the firm’s sales and marketing strategies. iOFFICE’s solutions are particularly suited for today’s changing corporate environment, where so-called “activity-based working” is becoming more the norm. More and more, employees have the freedom to perform tasks in the type of space that best suits their needs— that could be at their desk, in a meeting room or even in a designated quiet space. Enterprises see this as a way to increase collaboration and innovation within the organization. By moving away from a static, closed-in environment, they believe it also increases employee satisfaction and helps with retention. In The 2017American Business Awards, the company was rewarded for its innovative approach to workspace needs by securing a Bronze Stevie Award for “Most Innovative Tech Company of the Year” in the under-100-employees segment. For a company that’s followed the Stevie Awards for several years, Morris says the designation was a major shot in the arm for the entire staff. 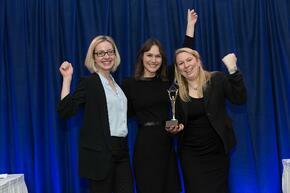 “Since winning the Stevie Award, iOFFICE and its employees have enjoyed a boost in morale,” she says. In Germany, creditworthiness for end-customer transactions are worth 350 billion EUR per year. However, credit information is often incorrect, incomplete and in generally unhelpful. This leads to poor conditions for the consumer due to contract rejections. Bonify wants to fix this by offering consumers free credit checks and better transparency using a unique algorithm that helps match users with financial institutions that actually benefit them. This technique helped Bonify win the Silver Stevie® Award in the Technology Startup of the Year category in the 2017 German Stevie Awards. Ultimately, Bonify wants to educate their customers about the ills of bad credit. Elisa Thiem, content contributor at Bonify, speaks to the growing issues of bad credit and the lack of tools available in Germany. Bonify’s long-term goal is to integrate all consumer products where credit plays a role (insurance, mobile phone contracts, etc.) so everyone can easily understand the best options available to them. Bonify is grateful for opportunities that help them in their fight for transparency, and award recognition is no exception. The team is well aware of other companies who've been growing in their respective markets and who believe they belong in that league as well. Elisa relays the positive attention cast on their team and how they feel. The increasing digitalization of industry and business models provide opportunities in the field of risk and credit ratings for companies and customers. Bonify is always looking for new ways to streamline credit check processes. Elisa shares their enthusiasm in the wake of their success. The positive customer responses, the constant support of friends and investors and the motivation and enthusiasm of their employees are encouraging. However, customer information is their top priority and a major reason why the company has been growing at such a rapid rate. Elisa wants to highlight their focus on this important matter. Since the user is already prequalified based on the individual credit and financial situation for loans, manual processes for banks are shortened and more accurate. Bonify acknowledges that not everyone is aware of their credit decisions. With a free credit check and their financial optimization tools, individuals can look forward to their credit scores improving with the right information and tools.